Another holiday season has come and gone in no time at all! 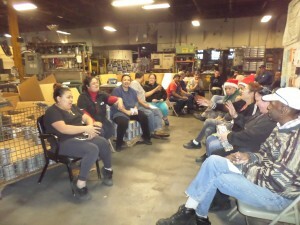 Before our plant shutdown, we held a holiday party in the plant. The entire work force enjoyed excellent food, some prizes were raffled, and the safety and attendance awards were presented as a result of no lost time accidents and perfect attendance for the month of November, 2014.